When you transform the sunlight that enters your windows, you can enhance the beauty of your home décor. Imagine your rooms going from glare…to glow! A revolutionary new system that automatically moves your custom shades throughout the day, so you don’t have to. 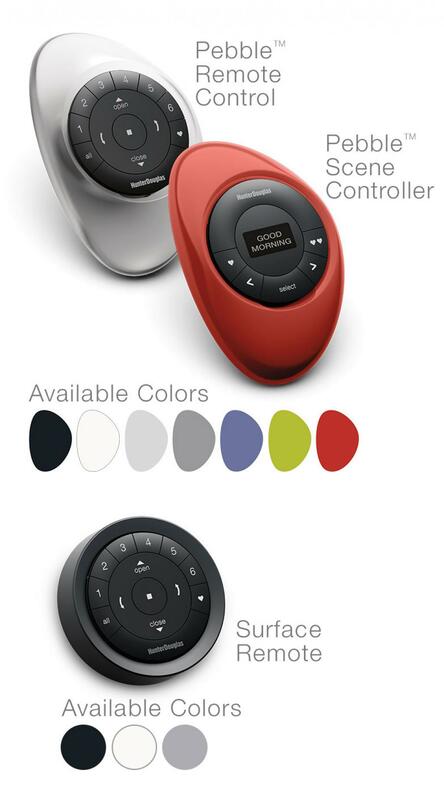 Everything about PowerView® Motorization is designed to simplify your life. Learn how easy it is to set up, program and operate your custom window coverings in Cincinnati to automatically open and close, whenever you want, from wherever you are. Watch the Pirouette Powerview® Shade in Action! In this video Kim shows you the Pirouette Powerview® shade. With its beautiful Roman Shade look, it opens to allow sun in and allow you to view out. Automation provides the ultimate luxury of controlling the shade with a remote. The PowerView system can be operated via the PowerView App or via two different types of Pebble® controls—a Pebble® Remote Control or a Pebble® Scene Controller. The PowerView® Pebble® Remote Control offers a modern alternative to a traditional remote control, allowing you to pre-set and easily operate up to six different groupings of window treatments—either individually or together—with just a press of a button. The PowerView® Pebble® Scene Controller features an advanced display screen that lets you conveniently preview and select room scenes—different combinations of shades and shade positions—that you previously programmed using the PowerView App. Ergonomically designed and beautiful to look at, the PowerView® Pebble® is available in seven stylish colors to enhance any décor. Want to learn more? Take advantage of our special offer on Hunter Douglas Powerview® Motorized Window Shades right now!